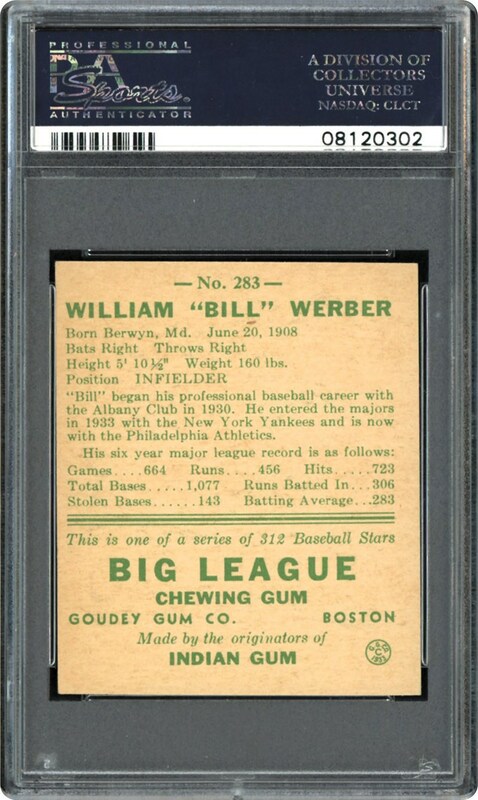 Philadelphia Athletics slick infielder Bill Werber portrays outstanding visual appeal in this 1938 Goudey PSA NM/MT 8 marvel that along with five other examples has only been bested by a single specimen. Surviving the past 80 years in virtually an immaculate state, the well centered illustration's fresh-looking hues and crystal clear clarity ably assist the image to present a seemingly "3-D" like pose. 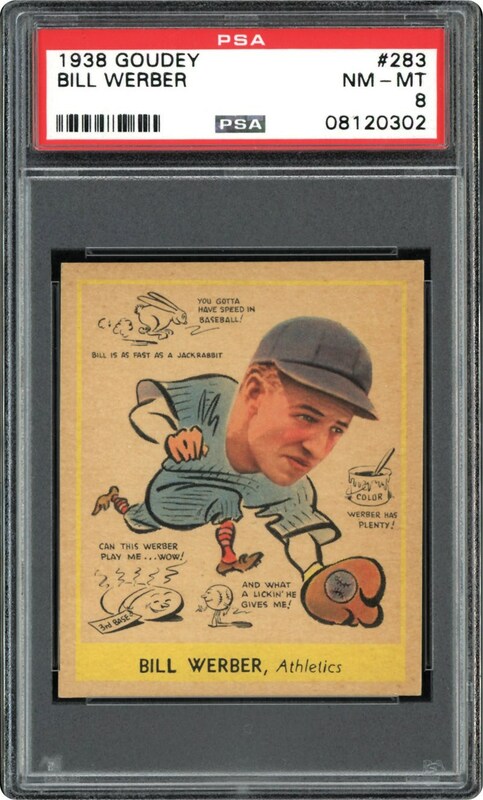 Any superior PSA Registered compilation would gladly welcome this sensational Werber artifact that appears to have just been pulled from a Goudey wax pack!